Tom has been working with bereavement for over 30 years. 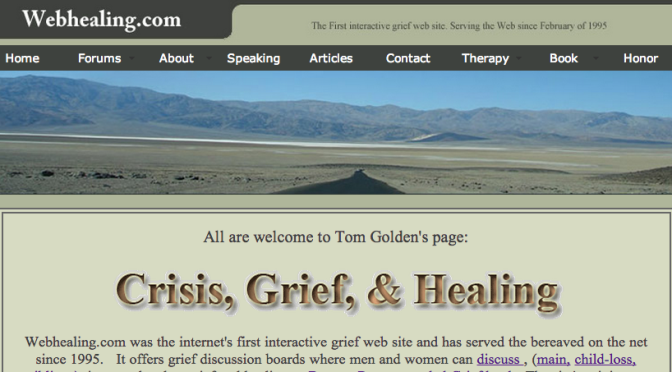 In 1995 after the death of his father he created the internet’s first interactive web site for the bereaved population at webhealing.com. He also created the internet’s first memorial page A Place to Honor Grief. Hi Tom, I just read your comment in NASW news, letters to the Editor. Beautifully stated, a deep and ongoing truth about what is so missing in terms of attention to the issues facing boys and men in our increasingly complex society. I work in a non profit called One Stage Productions, that’s about fostering self worth, anti bullying, and let’s face it, this is an issue that crosses the world, and definitely affects boys, men. Friend me on FB. I will definitely post this page, as I feel what you are doing is just so important. 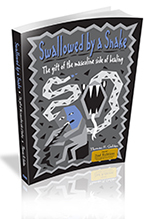 Your books look awesome. Your grief bulletin board helped me get through my sister’s death at age 51. She died in March 2001, around 4-1/2 weeks frm her 52nd birthday. While I will always miss her, I don’t carry a boulder of grief in my chest year round! It really helped me get through it. There are some losses people never get over. Thank you for making such a comforting resource available!